Would this apply to all levels of government, or just locally? You named the pros, but what are the cons of Open Primaries? If power is taken away from political parties, where would it go? Open Primaries held this TeleForum to discuss how to make positive changes to Arizona politics. 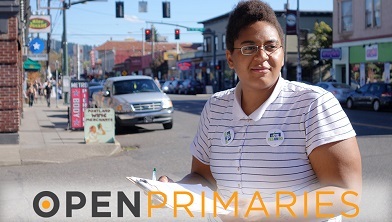 Open Primaries believes that all people should have the opportunity to exercise their right to vote, regardless of if they are registered with a political party. They represent a new approach to reform that has much more to do with empowering voters. Guest Speakers for this event included Paul Johnson, the former Mayor of Phoenix, John Opdycke, the President of Open Primaries, Jackie Salit, President of IndependentVoting.org, and Patrick McWhorter, Arizona Campaign director for Open Primaries. They discussed a variety of topics including education, economy, and societal and social systems. Their system proposes that all voters get to elect the two candidates for running regardless of political parties. Guest Speakers also answered a number of questions from participants surrounding non partisan election reform and discussed how Independents are the fastest growing group of Arizona voters. Produced by Ring Limited.